Master photographer and longtime OP columnist Frans Lanting is offering a unique opportunity for 2 people to participate in the filming of his new Creative Live course, The Art of Photographing Birds, in California’s Sacramento Valley from January 22 – 25, 2019. 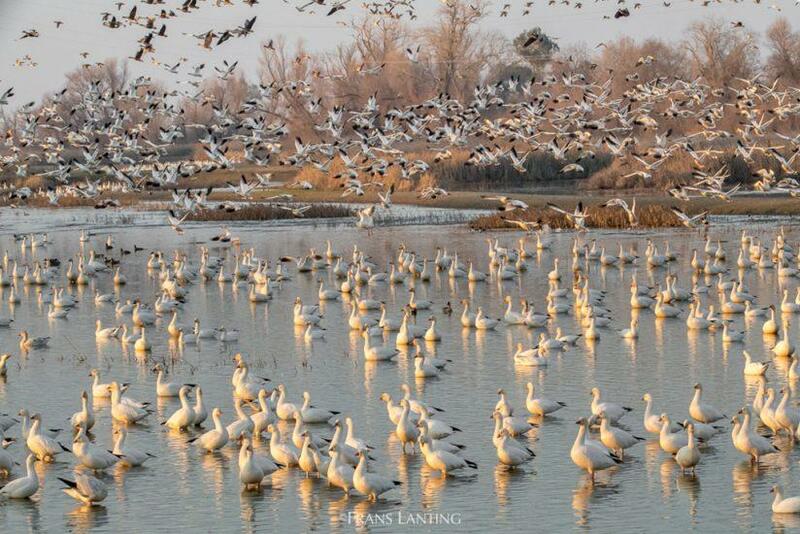 Many thousands of snow geese and other migratory waterfowl will make this an unforgettable experience. If you’re interested in being one of the 2 students to participate in this experience, visit the Creative Live website at https://www.creativelive.com/class/the-art-of-photographing-birds-frans-lanting. Scroll down to the Class Description where you’ll find a “Click Here” link for details on how to enter. The deadline to enter your name for consideration is Thursday January 17, 2019 at 4:00 PM Pacific. The post Join Frans Lanting For A Free Bird Photography Workshop appeared first on Outdoor Photographer.